Its been awhile that I’ve made a dessert. I don’t know about you, but when it comes to dessert it has to look fancy with the ‘oohs and ahhws’ effect. And of course it has to be delicious. I’ve made panna cotta’s before and sometimes I have ‘eureka’ moments and this dessert is one of those moments. 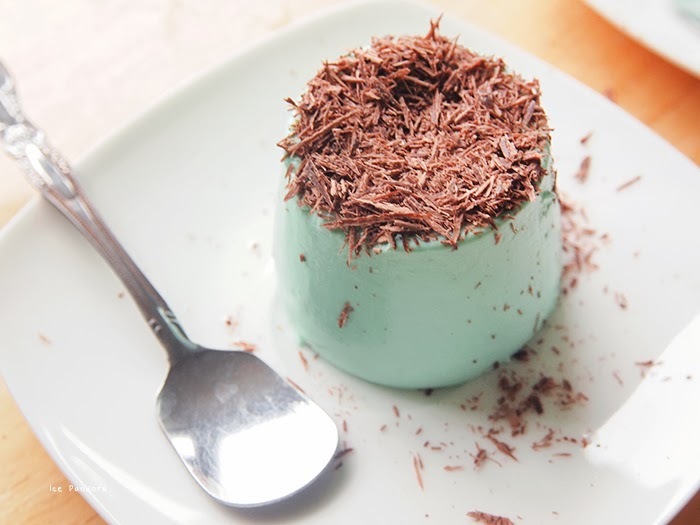 I love anything mintchocolate-ish and I don’t like to brag, but this dessert is a-ma-zing! What a great match! And maybe a great idea for the upcoming holidays? P.S. Basic adapted with Gordon Ramsay’s recipe! Ik kan me niet herinneren wanneer ik voor het laatst een toetje gemaakt heb. Heel lang geleden dus. Maar wat toetjes betreft, het moet áltijd mooi uitzien want het oog wil ook wat toch? En uiteraard smaakvol. 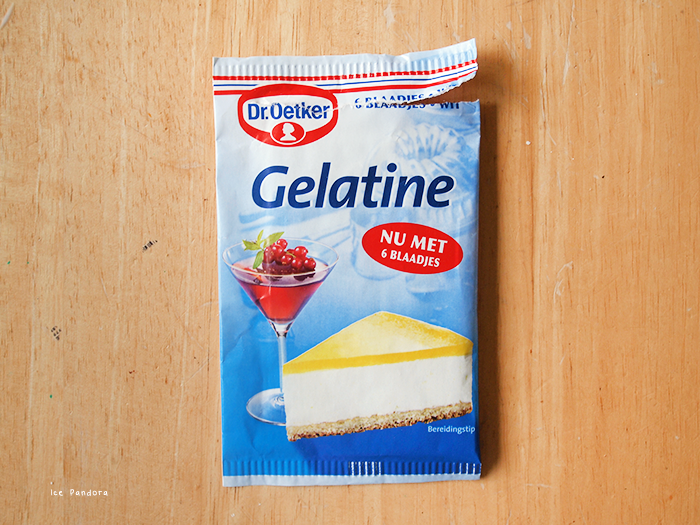 Panna cotta’s zijn makkelijke en lekkere toetjes. Soms krijg ik echt opeens goeie ideeën. 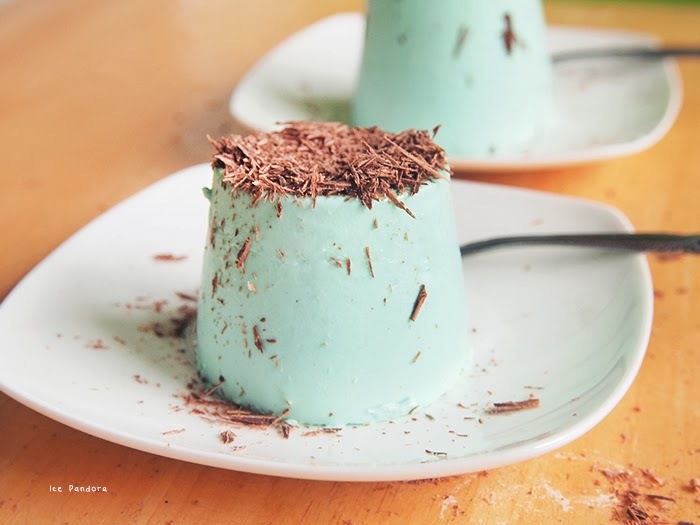 Net als deze: een mint chocolade panna cotta stijl! Ik hou sowieso van deze combo en ik wil niet graag opscheppen maaruh, dit toetje is héérlijk! En misschien een idee voor de komende feestdagen? P.S. basis volgens Gordon Ramsay’s recept! 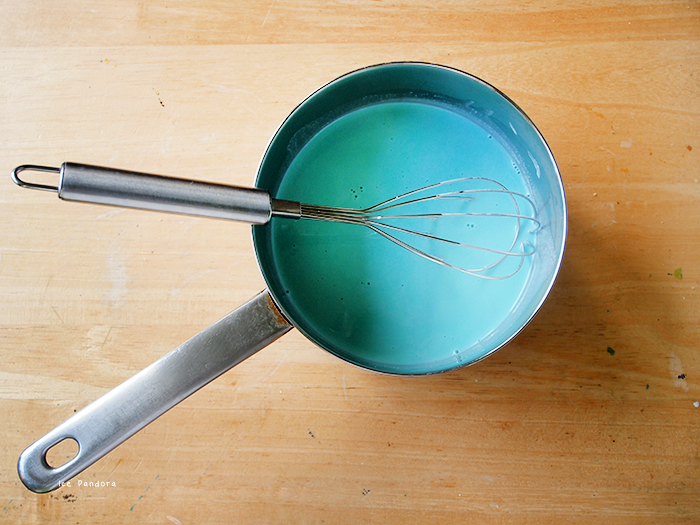 The first batch was too dark mint-ish so I suggest: 2x blue drops + 1x yellow drop = mint. 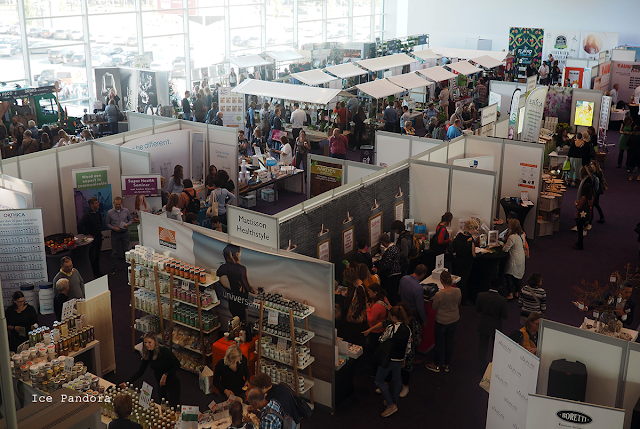 No mint extract? Do not panic! 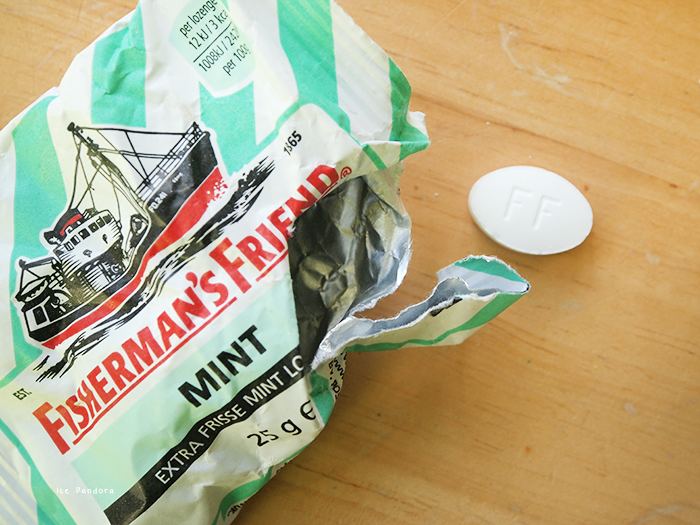 You can use Fisherman's Friend, just add it while you are cooking the cream. I love stuff that wiggles ha. 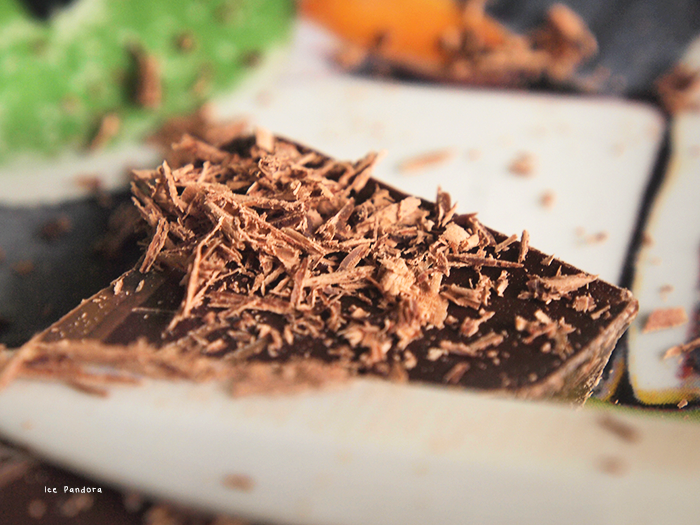 To make chocolate shavings, just scrape with a sharp knife on top of a bar of chocolate. Careful for your fingers! 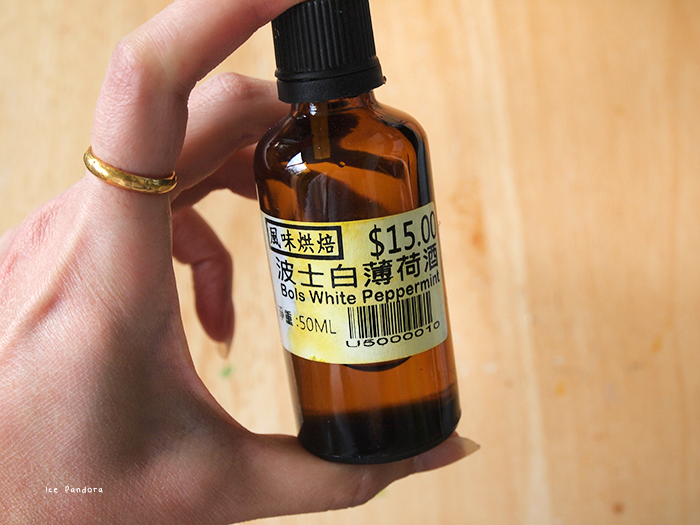 Soak gelatin in 2 tbsp. of water. 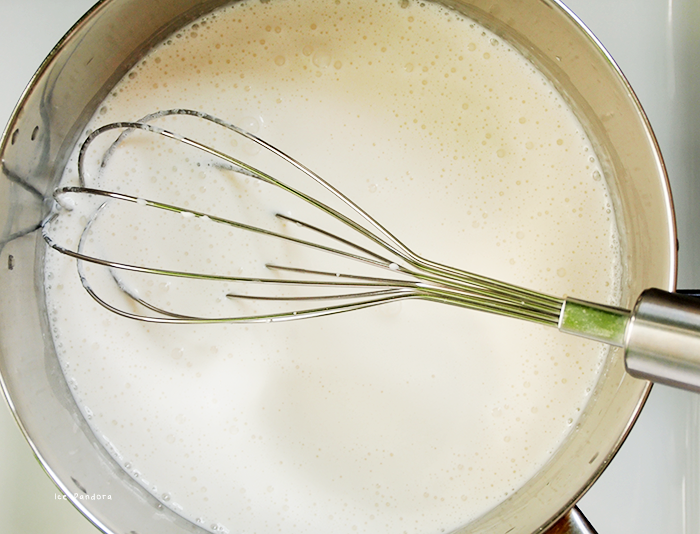 In pan goes: the cream, milk, sugar, Fisherman's Friend and stir and cook on low heat. The FF and sugar should have solved. Don't let it boil! 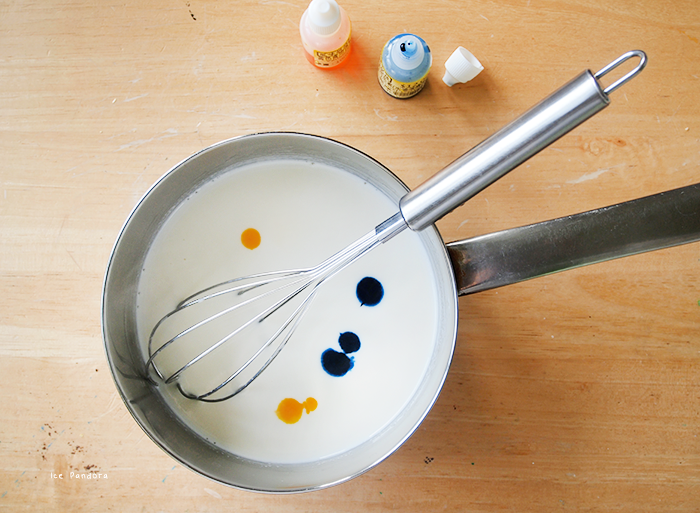 Add food coloring and vanilla drops. Stir stir stir! Let it cool off in the pan. Once cooled off pour it in plastic cups. Serve with shaved chocolate and you're done! It looks so magical haha! Aah het ziet er echt heerlijk uit.. en pretty! 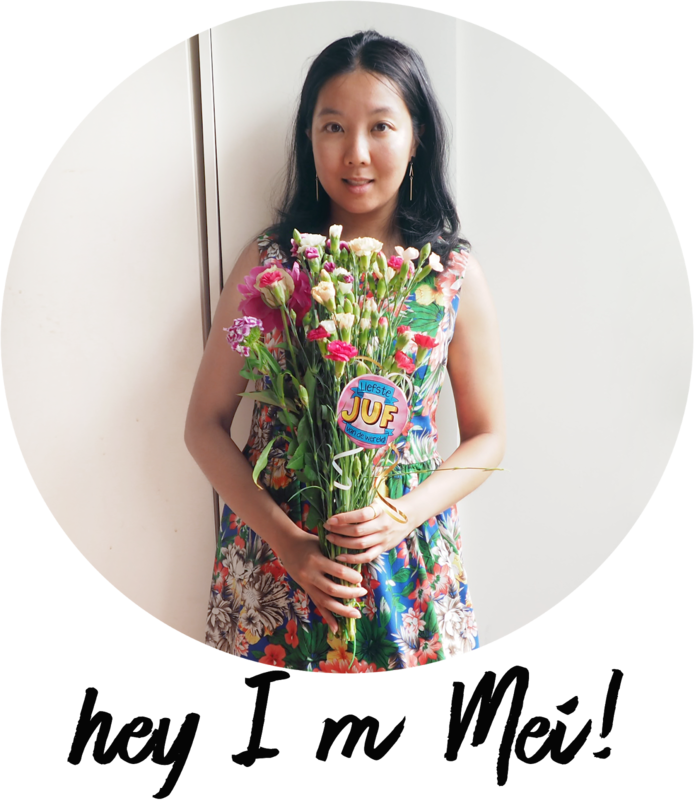 Ik ben echt dol op jouw blog, vind het zo leuk hoe je varrieert in je artikelen. Dit ziet er ook heerlijk uit, leuk ook dat bewegende plaatje haha! Haha, jiggly! Ziet er erg leuk uit! ooooo! 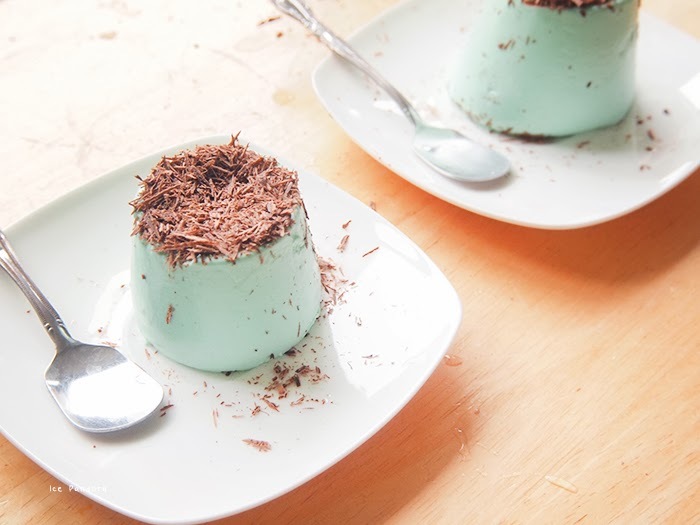 I've never made any panna cotta before, but if I do it will definitely be this one! I love mint :) Perfect for the holiday season! Everything looks adorable ! Love the pictures and it looks yummy ! looks delicious! 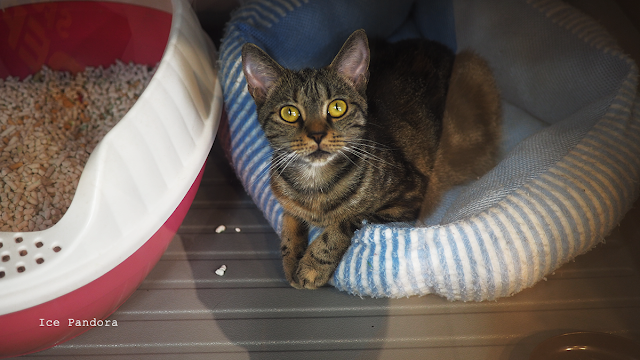 and so pretty! Sooo fun! 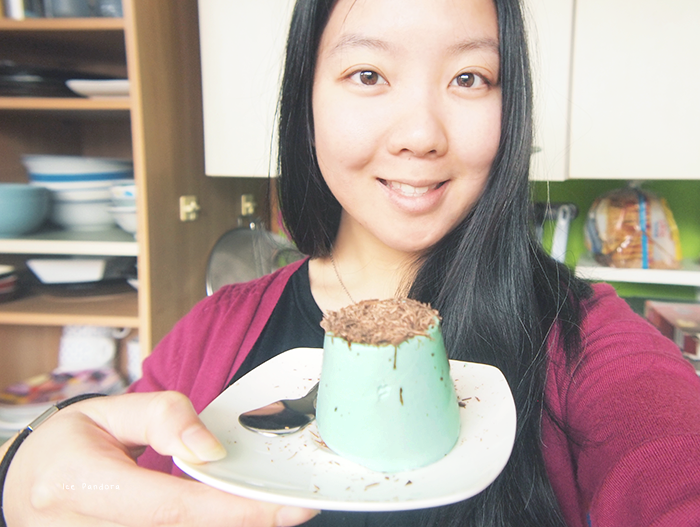 I really want to do some easy baking dessert recipes this month for the fun of it! I've made soft chocolate chip cookies and cripsy sugar cookies this month so far! The dessert looks so cute! 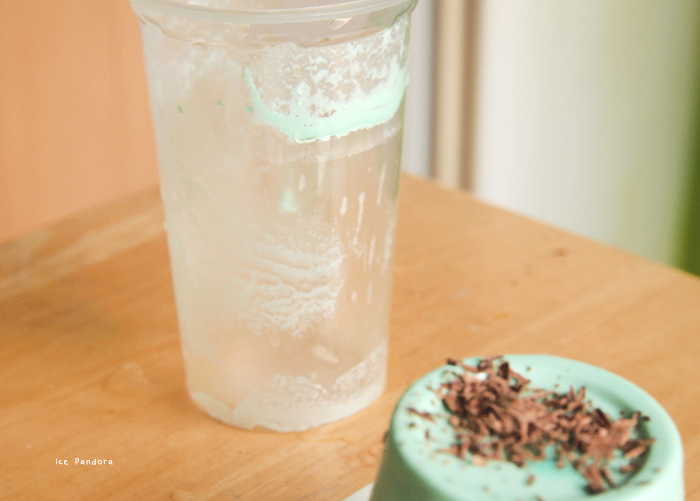 My brother and I love mint chocolate flavored things, so I should make this for him when he comes home. Looks so yummy! Definitely going to try this over the weekend! it looks delicious. great tip about the fishermen's friend! oh yum! and love the colors!